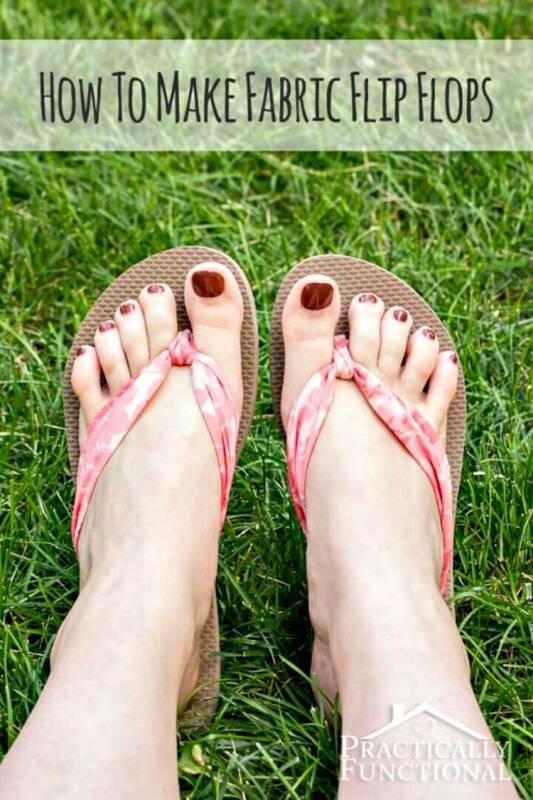 The summers have been reached and the time has come to go half barefooted by wearing flip-flops! 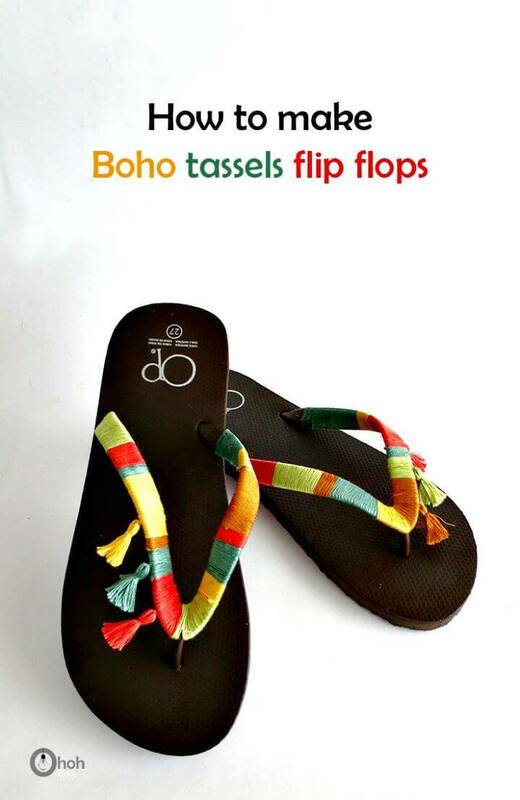 Flip-flops are taken as the common footwear to wear in summers just to beat the summer heat but you can really make your slippers look special just by doing some smart makeovers and hence they will also be a fashionable footwear to go your summer wardrobe or shoe rack! 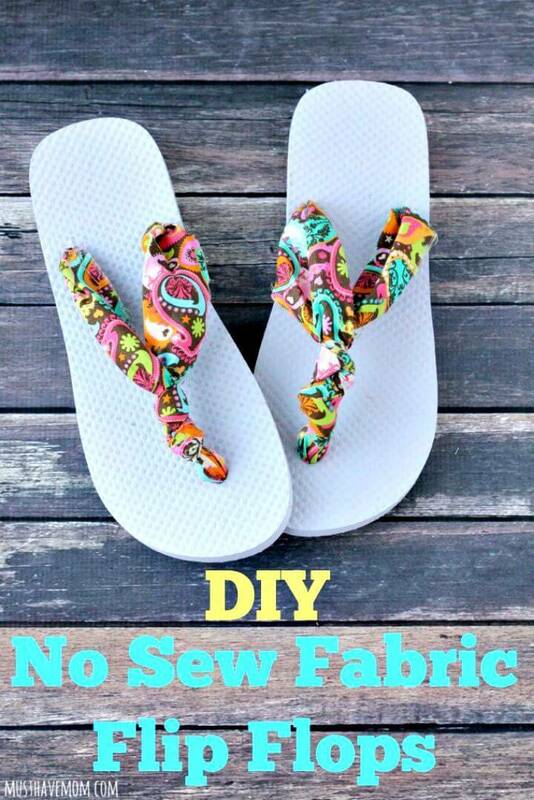 Here we have brought 25 easy ways to DIY flip flops that will help that how you can restyle your slippers for a more glam, eye-catching and super special appeal! 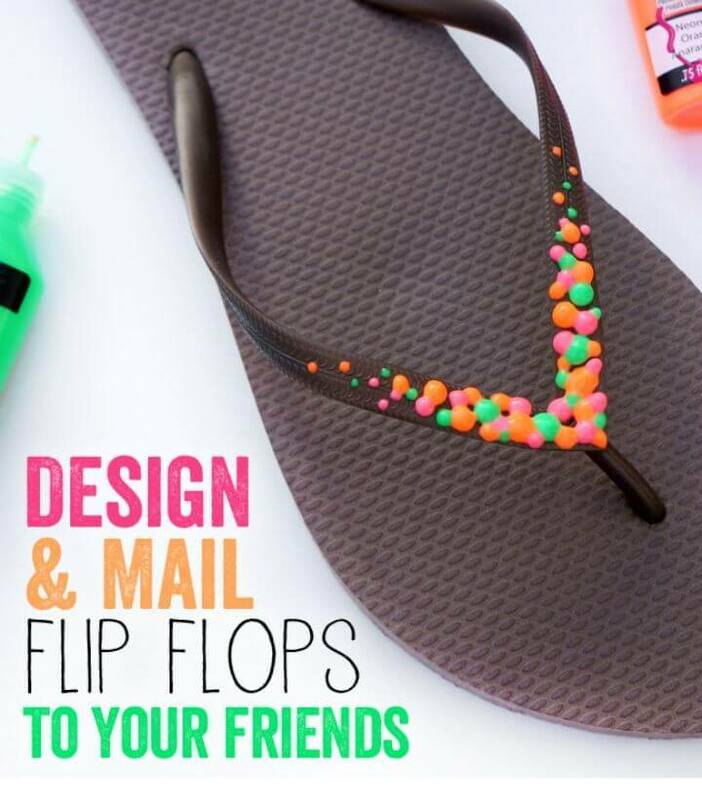 These DIY Flip flops refashion ideas will not cause any load on your wallet, they are actually based on the smart use of common materials like the yarn, paint, stencils, ribbon and the fabric to update your slippers! 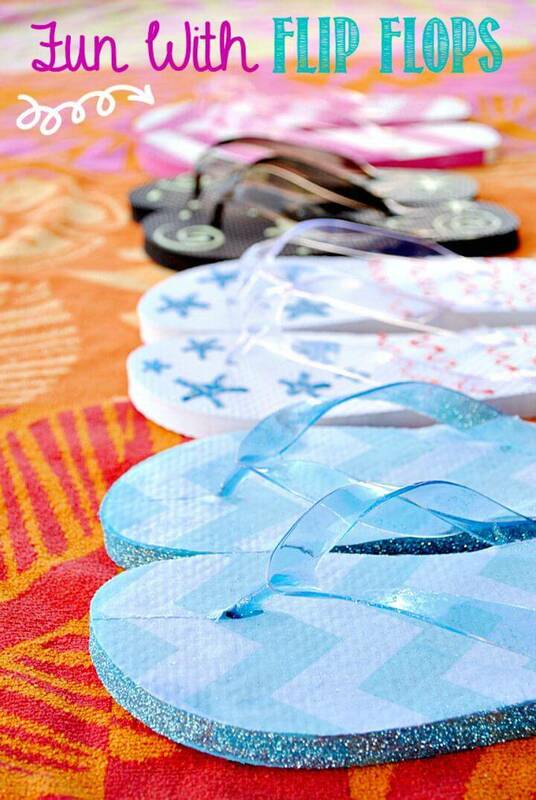 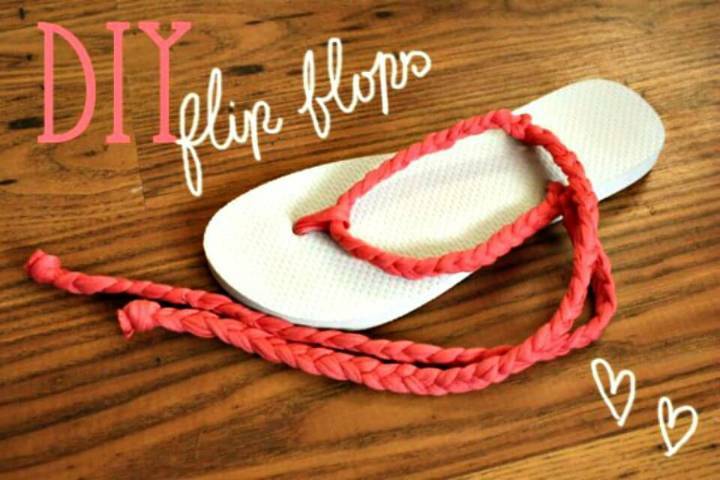 So, every flip-flop lovers can try out these flip-flop decoration projects without any hesitation! 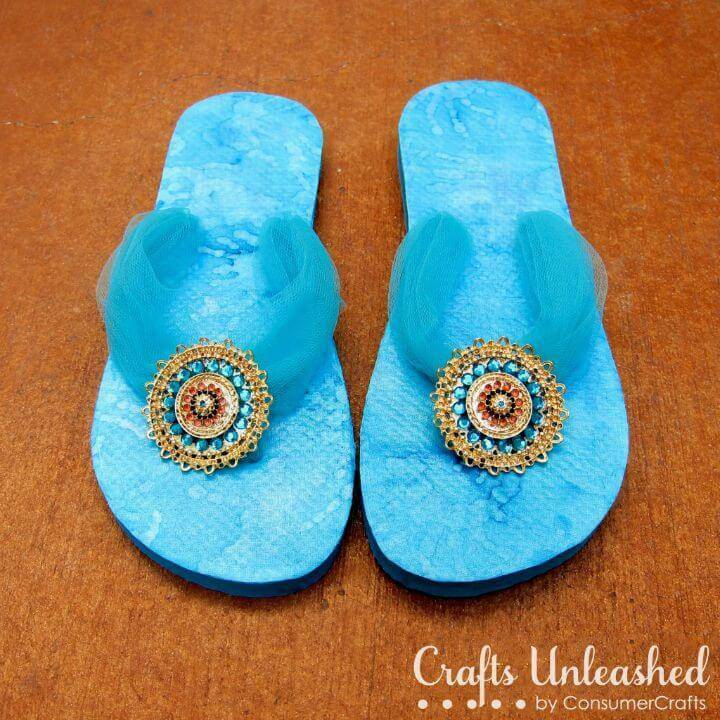 These projects promise to make you get your slippers in your favorite decorative avatar and will be highly amazed to see the innovative tricks played in this case! 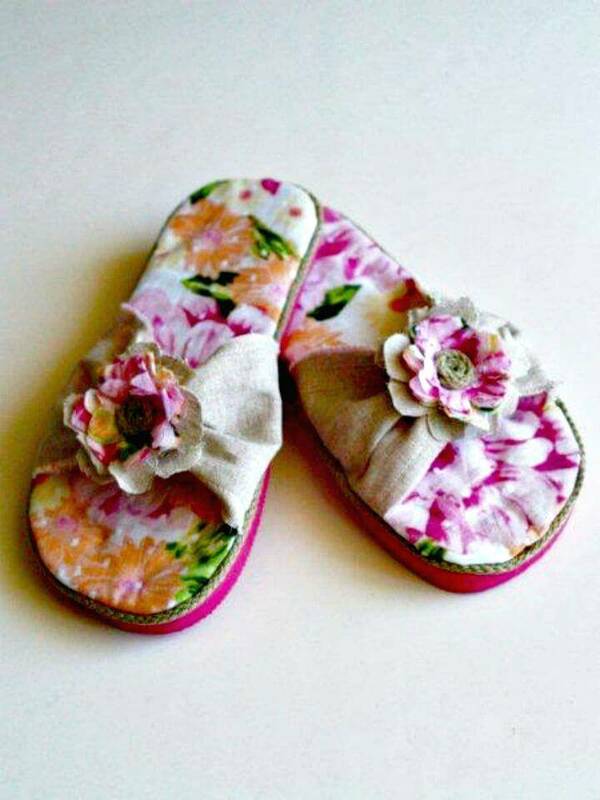 These ideas will mostly focus on the straps of the slippers which can be replaced with new fab ones or can be decorated in several different ways for creating a super lovely and enticing appeal of your slippers! 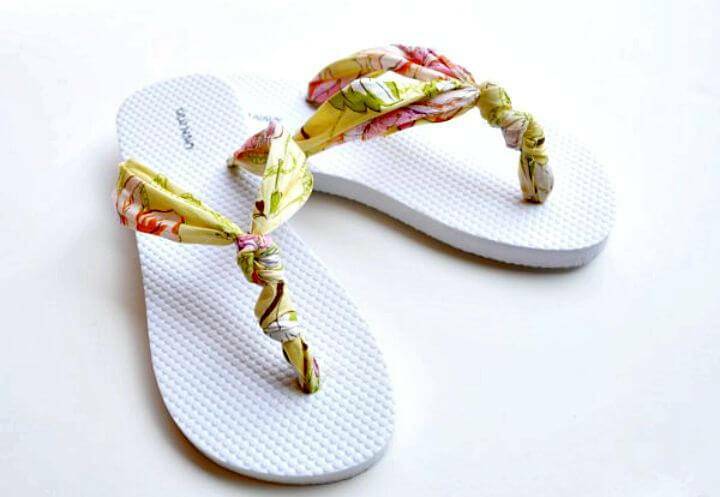 These ideas would be a smart way to update your old slippers and hence you can keep using your slipper from season to season without buying the new ones! 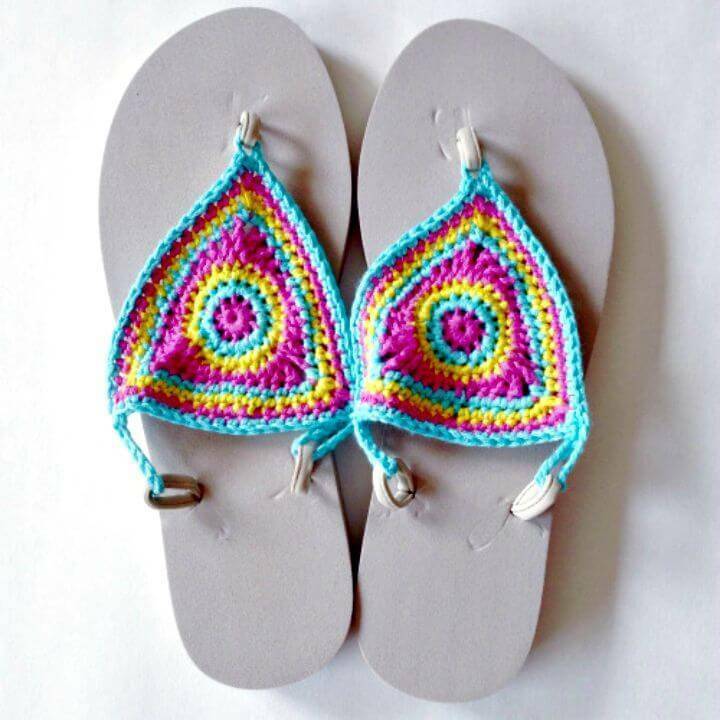 Cover the straps of the flip flops with colorful braided yarn and add accent heart on the top of the strap for an enticing appeal of your slippers! 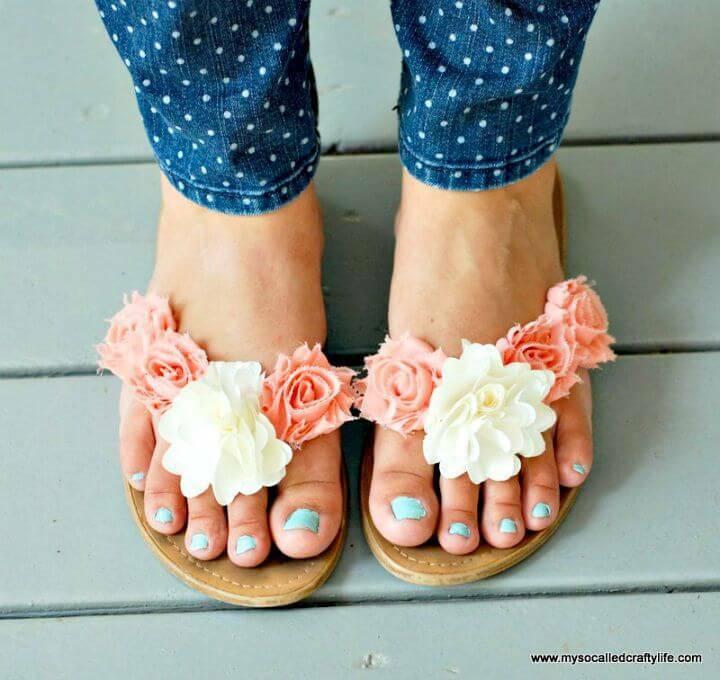 Make your flip flops look beautiful by wrapping the decorative ribbon all around their straps and next just finish them up with accent buttons! 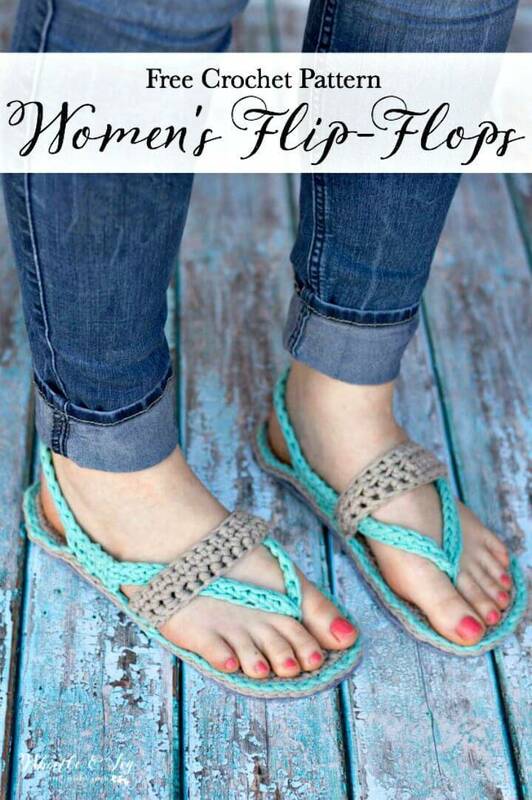 Restyle your flip flops by adding braided yarn straps that can also come close from the backside for a sandal style look, get inspired by a lovely sample given here! 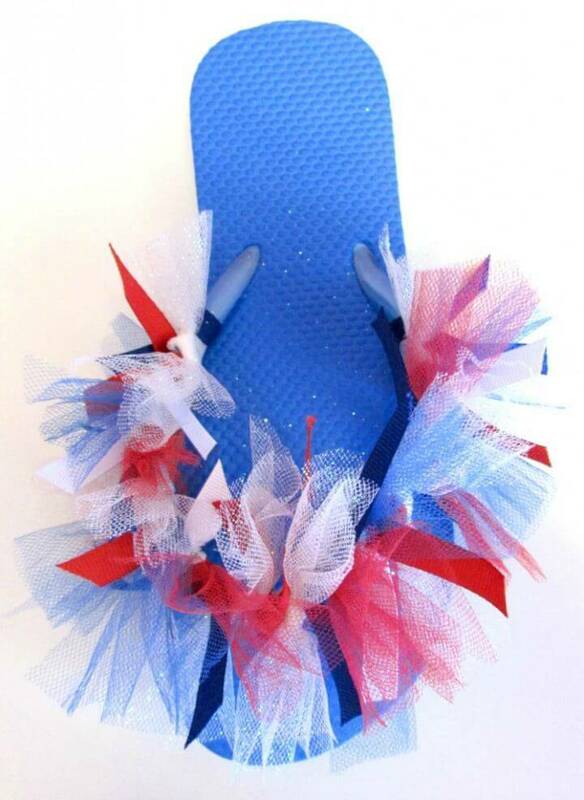 Replace the flip flop straps with new tulle straps which can be glued in place and next also wrap the colorful yarn around the slipper straps to create an instant beautiful look of them, add yarn tassels to double up the beauty of them! 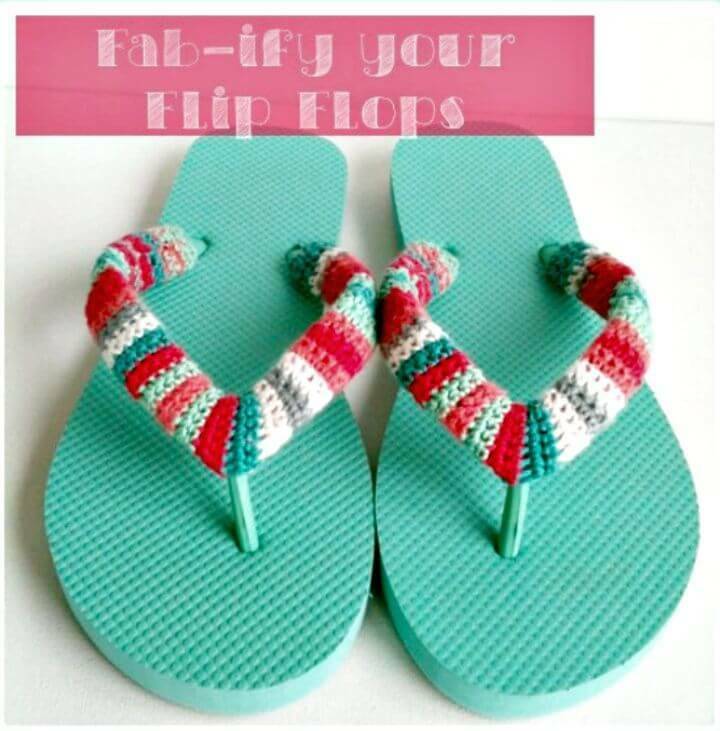 Tie the fabric strips together to make the lovely fabric straps for your flip-flops and also jazz up your slippers by covering their straps with crocheted yarn strips! 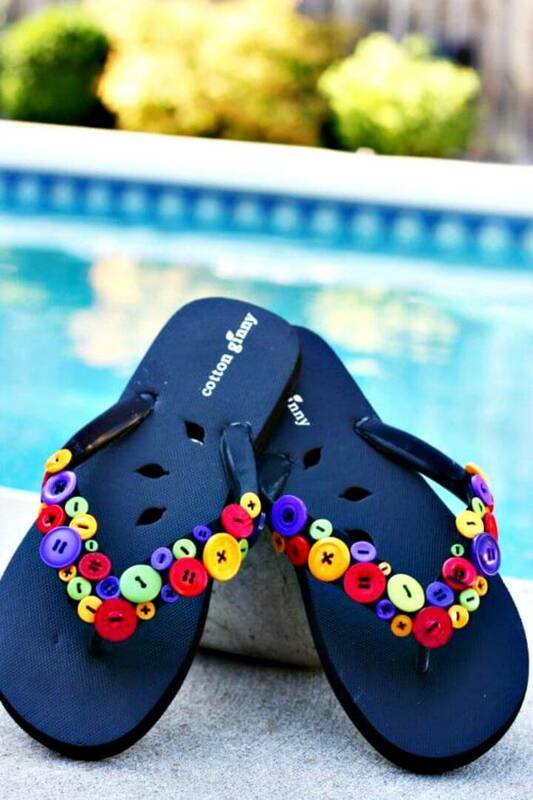 Add colorful dots of neon paint on your flip-flop straps and make them look just fantastic and also raise the style of your slippers by using braided ribbon and accent ribbon or fabric flowers! 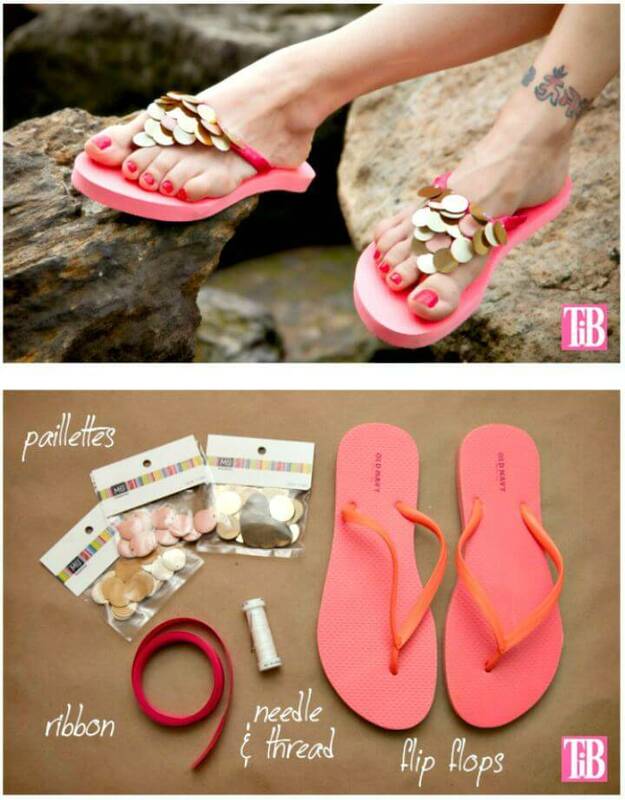 check out some amazing samples are given below! 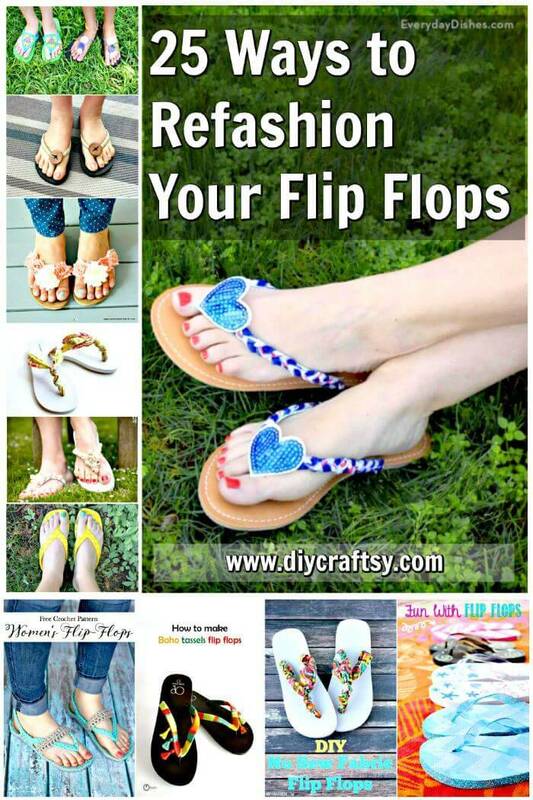 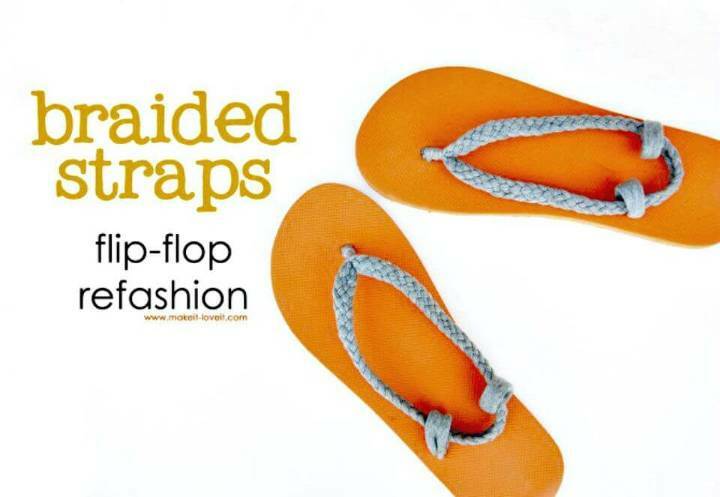 Do check out the attached links for getting free step-by-step tutorials, free guides and visual instructions for your favorite DIY flip flop makeover projects that have been shared to inspire the summer fashion lovers!